NASCAR Mailbox: Tracks You'll Never See Again & What's up with Toyota? Home / Cup Series / NASCAR Mailbox: Tracks You’ll Never See Again & What’s up with Toyota? NASCAR Mailbox: Tracks You’ll Never See Again & What’s up with Toyota? 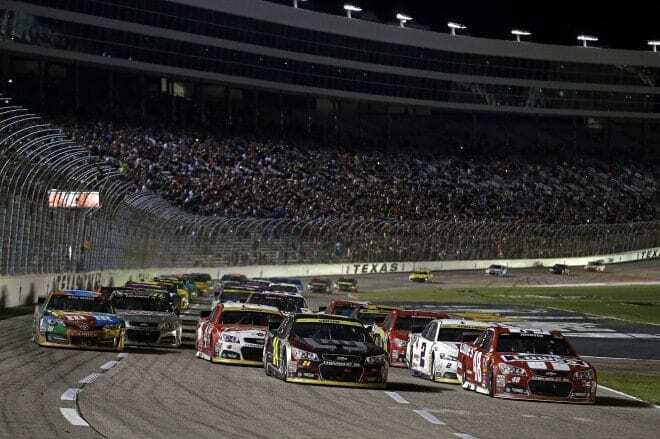 How fitting that following the first NASCAR off-weekend, the Sprint Cup Series descends on the 1.5-mile Texas Motor Speedway. They say things are bigger in Texas, and the return of NASCAR as we kick off spring, couldn’t be any bigger. Speaking of big, the fine that Ryan Newman and crew chief Luke Lambert, were handed down by NASCAR before the break last week was fairly significant. The team was issued a P5 penalty for altering tires, a violation found during post-race inspection after the race at Auto Club Speedway. Lambert, who was fined $125,000, will also be sitting out the next six races starting this week at Texas. The team was also docked 75 points, both for the driver and owner Richard Childress. It will be interesting to see how the No. 31 team bounces back from losing its crew chief for these next six events, and also how tires will be under added scrutiny by NASCAR tech inspection after this occurrence. One thing is for sure, NASCAR is making Newman, Lambert and RCR’s No. 31 team an example of violating these rules and showing the other teams in sport that they’re not kidding around with the tire rules this season. A: Hey Brian, thanks for writing in. Toyota has had its struggles this season for sure. Right now you’d have to say that Denny Hamlin and the No. 11 car is really the bell-cow for the Toyota camp, sitting seventh in the points standings. 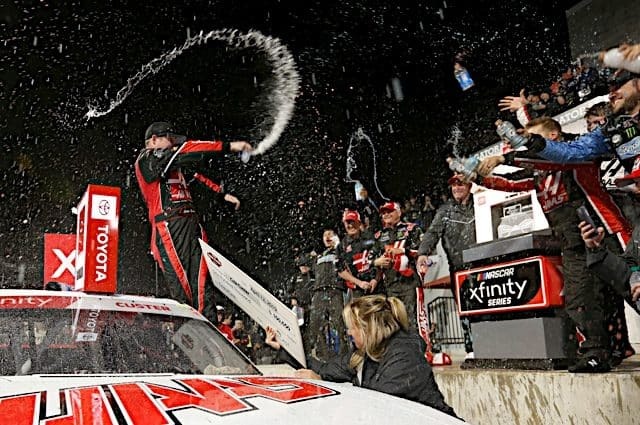 The win two weeks ago at Martinsville, essentially catapulting Hamlin into the Chase again, doesn’t hurt either. 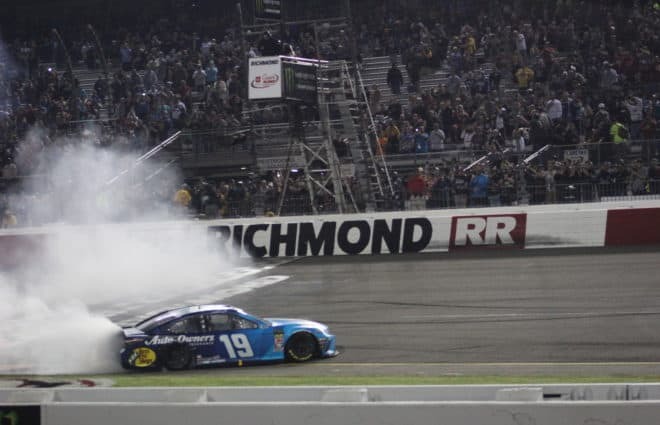 Going into the season Carl Edwards (17th in points), who made the jump from Ford at Roush Fenway Racing to Joe Gibbs Racing, was super confident that he and veteran crew chief Darien Grubb could make some serious magic happen at JGR. But so far, Edwards has been consistent, though he’s struggled with speed and moving through the field. Add in the No. 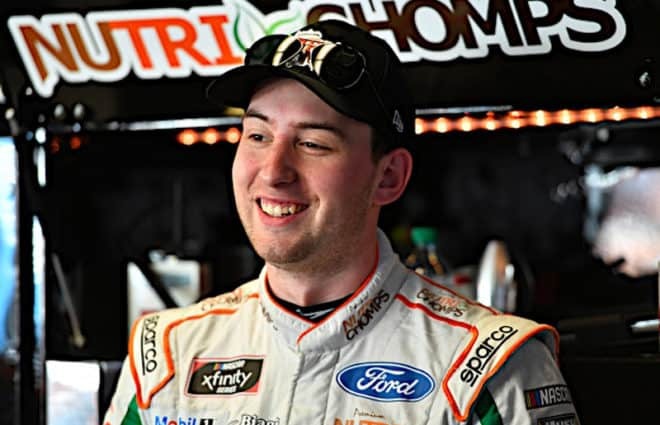 18 team losing Kyle Busch to a long-term injury before the season even began, andit was a crippling blow. While David Ragan looks like he’s getting comfortable six races in, it has been a struggle to get him in a good spot. Meanwhile, Matt Kenseth has posted a few solid finishes and sits 11th in points, but he’s seen the last two races slip between his fingers, one for a parts failure and one because he was simply outrun. Going over to the other top Toyota team, at Michael Waltrip Racing consistency has been the issue as well. Except it’s been more consistency behind the wheel rather than on the track. Also hampered by a driver medical issue, the No. 55 team got its driver back in Brian Vickers for two races before he was sidelined due to a re-occurrence of blood clots. 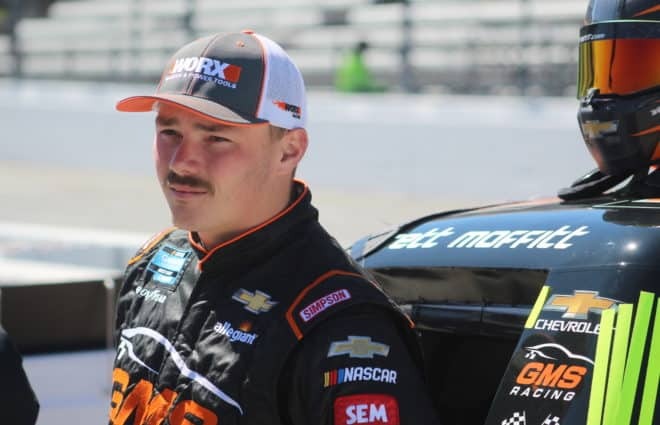 In his seat is rookie Brett Moffitt, who is in a great situation with good equipment to prove himself at this level. His new teammate, Clint Bowyer, however, hasn’t been fast at all this season and continuously seems to be at the wrong place at the wrong time when trouble happens on the track. There’s no magic wand to fix that…. The real answer to what is happening this year with the Toyota camp is two fold. On one hand, both premier teams (JGR & MWR) have had issues beyond their control when it comes to drivers out of their seats due to medical issues. And two, is simply lack of fast cars, which may be helped with sharing more data and notes by all Toyota teams. If there’s one factor that the Chevy teams can point to, it’s sharing of knowledge and setups at Hendrick and RCR that has led to the dominance of drivers like Kevin Harvick and Jimmie Johnson in the last two seasons. There’s also raw talent, which you can’t just create, but there’s plenty of that in the Toyota camp as well. TRD wants nothing more than for a Toyota to raise its first Sprint Cup championship, and they won’t stop developing engines and making changes until one of their teams does just that. Could this weekend be another Toyota win to set things in motion towards that goal? Sure. But Toyota’s only gone to Victory Lane twice at the spring race in the track’s history. Those drivers? 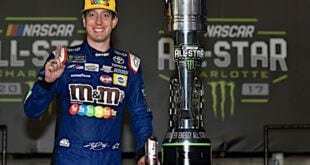 Kyle Busch and yes – Denny Hamlin. A: Thanks for the question. It’s always good to remember where this sport has been and its grand history at tracks such as North Wilkesboro. I know there has been a group attempting for some time now to save the track after former owners Bob Bahre (former owner of New Hampshire Motor Speedway) and Bruton Smith (of SMI, Inc.) co-owned the 68-year-old short track in North Carolina. The track actually closed for good back in 2011, but the last NASCAR Sprint Cup event was held there in September of 1996. 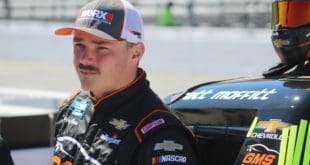 The group that initially had set out to lease the track from Smith and SMI after he bought-out Bob Bahre’s share, were never successful in getting any races off the ground with NASCAR. Although there were a few late model races there after the conclusion of Cup racing in 1996 and a number of teams actually did use the track for testing. Many fans love the idea of going back to North Wilkesboro in the future, but it’s merely for the nostalgia factor. In today’s NASCAR there is simply no way the sport would return there. None. Nevermind the fact that in its current state, the track is literally collapsing in on itself, and millions of dollars would have to be spent to make repairs just to make it serviceable again. But the facility lacks the major, modern amenities that NASCAR teams, drivers, sponsors and most importantly fans have come to demand over the course of now nearly two decades since we last saw Cup racing at North Wilkesboro. It’s sad what has happened to that track and the history of NASCAR events run there. But museums like the NASCAR Hall of Fame in downtown Charlotte would be a great way to preserve the history and let the legacy of North Wilkesboro live on for years to come. We’ll see what happens to this aging facility, but my guess is that at some point in the future SMI and Bruton Smith will want to get rid of it from their books and sell it off as develop-able land. It doesn’t make any sense to keep this place alive any longer, and unfortunately we’re never going back. Have a question? Email me at greg.davis@frontstretch.com, and make sure to check back next week when we’ll answer your questions on all things NASCAR. Until then, enjoy this week’s racing from Texas! Greg has been with Frontstretch since 2014. A life-long NASCAR follower armed with an extensive sport and digital marketing background, Greg assists the marketing team and helps to manage relationships with some of the website's sponsors. 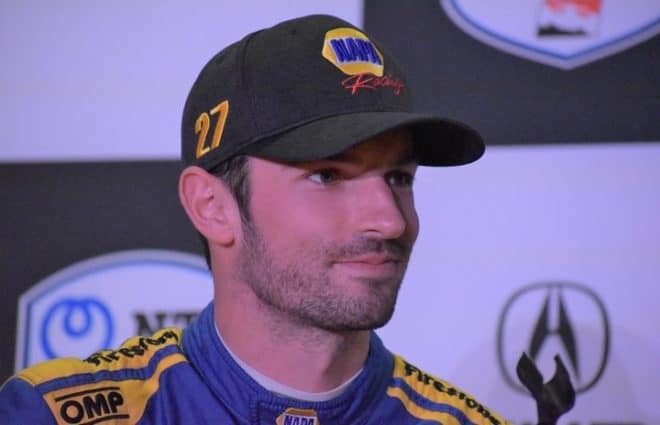 From time to time his work appears on Frontstretch, focusing on the business side of racing and how financial partnerships are affecting the sport. He and his family reside in southern Connecticut. if Nascar could put on a dirt show at Eldora, which is basically a step back in history for the old dirt track days. Then it could do the same at North Wilkesboro. Unfortunately, Nascar doesn’t own it and the arrogant Bruton Smith does. So I don’t agree with the notion, that the sport is too big for North Wilkesboro or that it couldn’t sell out. On the contrary, with the empty seats at facilities we see on television today it could sell out easily. There is no question North Wilkesboro will never host another Sprint Cup race I know. However, I see little reason why it can’t be a venue for Trucks or the Xfinity Series events. The biggest obstacle, is it’s owner….Bruton Smith! 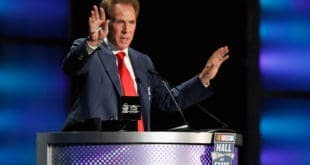 Greg, I wonder if with the Irwindale Land Scare, in no small hand with the Goodell Plan to move someone else’s team, if Southern California has had an unhealthy history of letting historic tracks go Baysides. With OCIR, Riverside, Ontario, Earlier Irwindale. just to name a few. Why is it those tracks in Southern California and historical races try to leave so fast? I would love to see North Wilkesboro come back because of its history. It would be the perfect place to have a Xfinty/Truck weekend when the Cup series is off. Unfortunately, I just don’t see someone coming around with the $10+million it would cost to fix the place up and make it ready for national series racing again. I suppose I must have missed it. I just don’t remember the long time fans clambering for the introduction of the world’s dullest car into NASCAR. Fast, slow, who cares about Toyotas? I’d wager that Toyota has yet to bring in a new fan but has chased away a few. NASCAR was too big for North Wilkesboro. Now I wonder if they could even sell it out. Nothing gets JohnQ out of the woodwork faster than talking about Toyota. Maybe he is just upset that his Ford sitting in the driveway won’t last as long as a toyota would, or that he can’t accept the fact that Toyota’s are built in the US now. Or maybe he realizes that the truck series trucks are all the same except for the nose of the vehicle. For whatever reason, his bitterness towards Toyota does make for amusing reading.